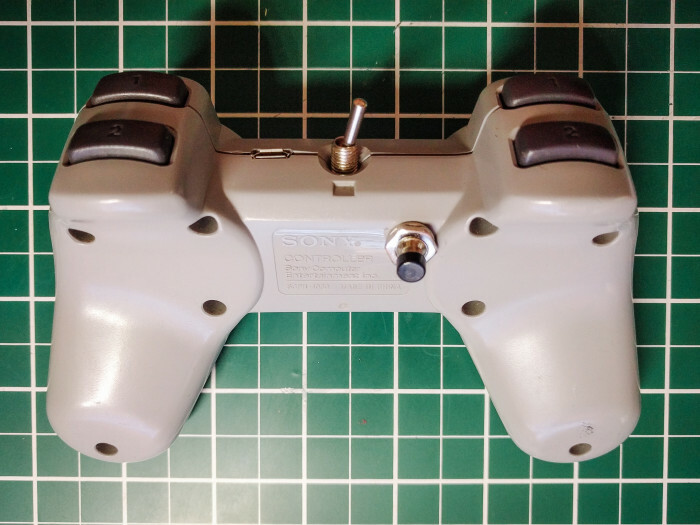 2 Weeks ago I came across a PS1 controller bluetooth mod by /u/Dementat_Deus on Reddit. The mod was very clean and I knew right away I wanted to give it a go too. In fact I ordered the parts 15 minutes after I read the post. There is one major issue with this build though that I wanted to address. The Bluefruit EZ-Key Bluetooth module used in this build only has 12 inputs for buttons, but the PS1 controller has 14 buttons. Because of that 2 of the buttons are not working. /u/Dementat_Deus used those buttons as power switch and to trigger pairing mode. The big advantage of that is that you don’t need to add additional buttons for pairing and power and get a very clean look. In my build I wanted to be able to use all the buttons though because all of the games I like to play utilize the full set of buttons. After building Terminator 2 last week, this week I built Rambo. 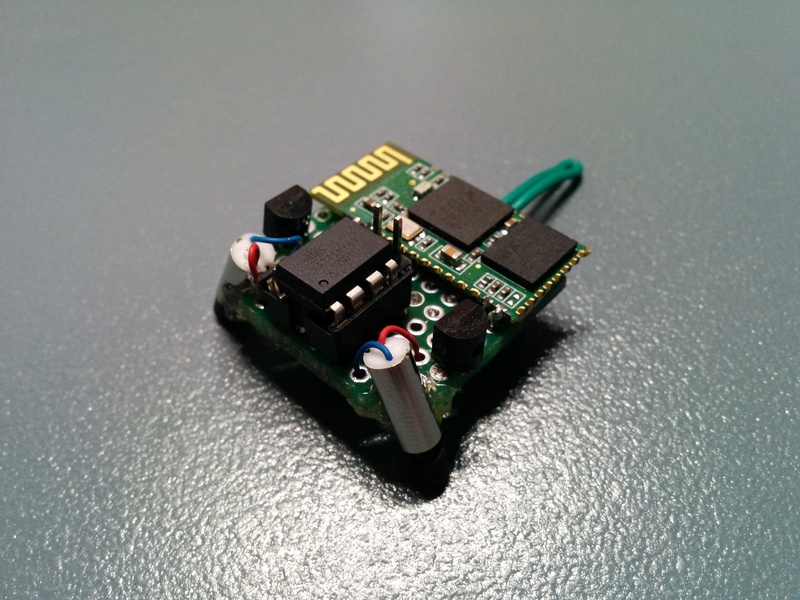 Rambo runs off an ATTiny85 as well, and can be remote controlled via the HC-05 Bluetooth module. So technically this isn’t really a robot, as it doesn’t have any autonomous functionality, but whatever. First, credit due where credit is due. 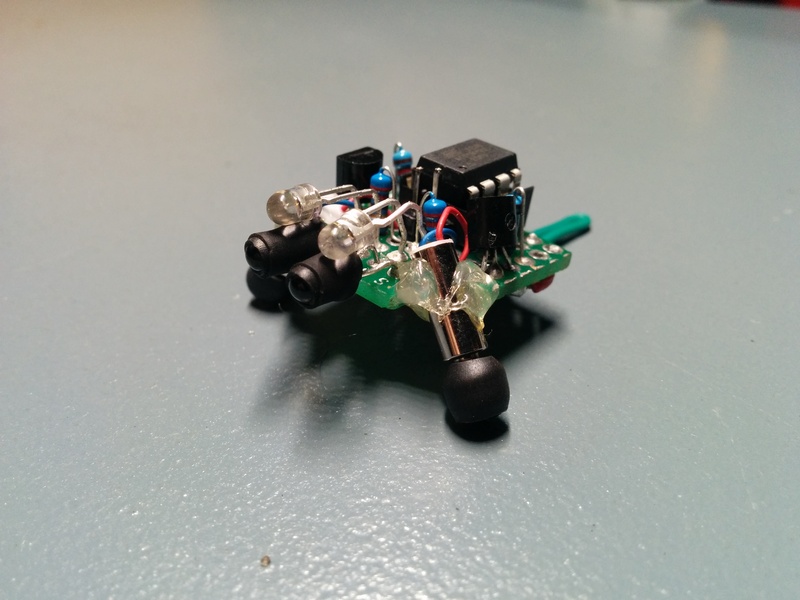 This project is inspired by the “Tiny Robot Family” by shlonkin. This is a fairly simple, low cost (~$10/unit) project that can be done in a weekend.